When Covered Ca came on the scene in 2014, it had an immediate impact on participating regional HMO's. Like Sharp Health Plan in San Diego county. Before then, the health market was dominated by the large Statewide (and even Nationwide) carriers like Anthem, Blue Shield, and Kaiser. Now when someone shops on Covered Ca, Sharp Health comes right up next to the big carriers and it was a game changer. Their pricing was hard to beat for equivalent coverage! Let's go through the different facets of Sharp coverage through Covered Ca and see how to get the most out of it. Let's get started with expected 2018 changes. First, let's address the big change. Anthem is leaving Southern California for ACA health plans 1/1/2018. They had the contract with the Sharp Medical Group for HMO and EPO. Many people picked Anthem just to get access to Rees Stealy and the Sharp Community Medical Group. For many of these people, especially the HMO members, Sharp health plan will be the logical transition. Especially since their pricing is so good in San Diego. Sharp continues to be the largest provider of health care in San Diego. Their participation in Covered Ca has only strengthened that foothold. They retain their ranking as the highest rated health plan in California with 4.5 out of 5 NCQA standing in 2016-2017. There are few changes in Sharp's lineup for 2018. Whereas some of the other carriers are making big changes (Anthem leaving Southern California, Health Net with narrow PPO, etc), Sharp is steady as she goes into 2018. There are always slight changes in Covered Ca plan design and rates but those are across the board for all carriers. We'll address them separately below. Othewise, Sharp Health is remarkably stable going into 2018. There has been some discussion on whether the Feds would continue with the enhanced Silver plans (73, 87, 94) but for now, they are still available. If anything, the changes may come from the Federal side but the State will try to offset those changes if they can. This is Sharp's bread and butter. They consistently lead the pack in Covered Ca for pricing. They can even beat Kaiser which is no small feat. Keep in mind that the plan benefits are all the same now. A Silver 87 plan with Sharp will be the same as a Silver 87 plan with Kaiser or any other carrier. This makes it much easier to compare. It's now a function of doctors and pricing. On both fronts, Sharp is very strong. The average rate increase for 2018 is just under 13%. Sharp increase for San Diego county is running from 6%-17% depending on which network (HMO 1 or 2). The tax credits are designed to also go up if the underlying health plan rates go up. It's actually based on the 2nd lowest priced plan on the market which in many cases, might be Sharp health. Net net...if you receive a tax credit, most if not all of the increase should be absorbed. That's why we get Sharp through Covered Ca...the tax credit! You will want to enter your household size and income estimate for the tax credit piece. There's more detail on how to calculate the income but we're happy to help. It's really important and really confusing. The Silver 73, 87, and 94 plans are offered based on income. Your quote will show these benefits if our income is in the right range. The plans are standardized so Sharp's plans will be the same as any other carrier at the same level. 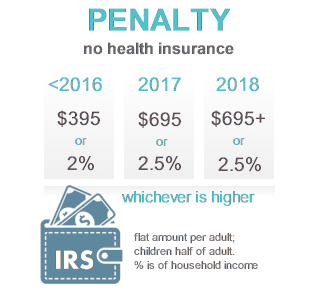 There are small tweaks to 2018 Covered Ca plan benefits but they're very small this year. You can get a 1 page summary of the 2018 plan benefits here. The 2018 Sharp Silver plan will continue to be the most popular plan. Especially if you're offered the Silver 87 or 94! Those plans offer Platinum level benefits but for the same price of Silver. If you need help with the income estimate, contact us to make sure we're getting the tax credit available. You can also use the PlanFinder tool (it's free!) to help you find the best Sharp health plan available. For further questions, contact us as Certified Covered Ca agents to go over the plans. Let's look at Sharp's Network. Sharp Health is an HMO servicing the greater San Diego county area. When you run your quote, the network will be listed by each plan for Sharp. The main reason people pick Sharp (aside from the pricing) is the network of doctors and facilities they have put together. We're talking some of the best providers in San Diego county. Between Sharp Rees Stealy and the Sharp Community Medical Group, they have high tiered providers available. In fact, most people pick the Covered Ca Sharp plan just to get to the providers. That's different for an HMO! Further more, going into 2018, Sharp Health Plan is the highest member-rated health plan in California in the categories of health care, personal doctor and specialist among reporting California health plans. When you run your on-exchange Sharp plans below, there will be a link for Provider Search so you can check the doctors especially in regard to which network they participate in. You can also call a doctor and ask them what "Covered California Sharp Network" do they participate in. The nice thing about Sharp networks is that there isn't a difference between Covered Ca plans and their other plans. It's all one HMO network. Many of the other carriers have stripped down networks for on-exchange versus employer based or other plans. Not the case with Sharp. It's one network and clean. Many Anthem members in Covered Ca are losing their coverage eff 1/1/2018. Sharp HMO (especially for the HMO members) will be the logical move since Anthem participated with the Sharp network. If you really want to stay in the Sharp network, their plan will be the best approach for Anthem members losing coverage in San Diego. 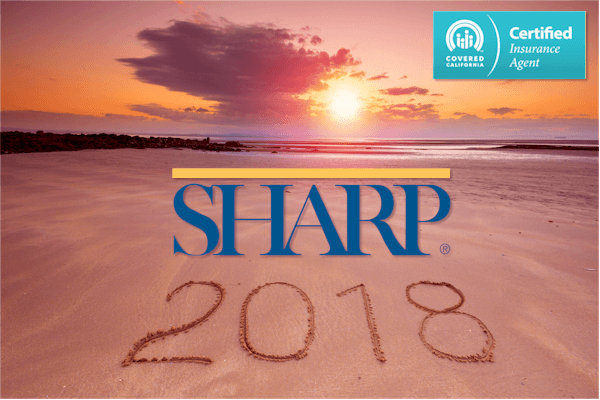 Is Sharp Health Available through Covered California? Sharp aggressively adopted Covered Ca since 2014 and they never looked back. They have participated in the exchange every year. One note...if you're eligible for tax credit, the only way to get it is in-exchange. The benefits, rates, and networks are identical in or out of the Exchange but the tax credit can only be had if we're enrolled on-exchange (Covered Ca). It's easy, free, and online. We're happy to help with any questions. 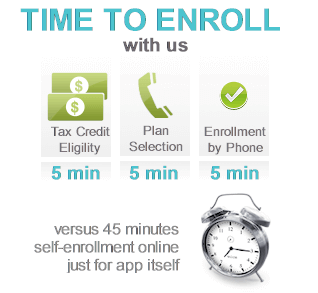 This online enrollment will save you about 45 minutes off the full app. We'll go through and make sure there's nothing that will cause issues for your enrollment. We'll also note if there are potential improvements in cost or benefits that you're missing. Yes...if you're eligible for a tax credit. The rates have to be identical for off-exchange (direct to carrier) or on-exchange by law. So the core plans will be the same. 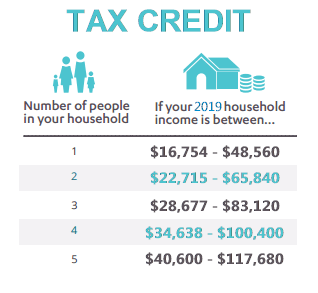 However, if you're eligible for a tax credit, the costs can come down significantly! $1000's per person per year on average. We can only get this by enrolling in Sharp through Covered Ca here. Is Sharp health through Covered Ca good insurance? The medical network Sharp has is exceptional. The Sharp health plan is one of the most affordable options on the market (quote here to see). In this case, it's not the price that draws people...it's the doctors and medical facilities in the Sharp network. Sharp is an HMO so we have to be comfortable with this model but great pricing and great doctors is hard to beat. More detail on HMO versus PPO. Use the PlanFinder here to compare the different plans. Sharp will continue to thrive in 2018 primarily since Anthem is leaving the area and they had the Sharp contract since 2014. Look to see many of those members move over to Sharp...especially the HMO members. Sharp's network remains strong across the great San Diego county area and will be the draw for many Californians shopping in Covered Ca. We're happy to help compare their options for you. 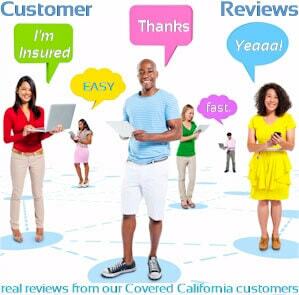 As Certified Covered Ca agents, we help people all day with these comparison. Again, there is absolutely no cost to you for our services. Call 800-320-6269 Today!